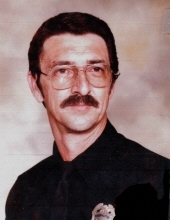 Don Edward Holloway, 77, of Fulton passed away at his home on Monday, January 14, 2019. He was born in Dayton, Tennessee on June 29, 1941, the son of the late Darius McKinley Holloway and the late Nola Mae (Dobbs) Holloway. On November 5, 2008, Don married Mary (Rupp) Holloway. For more than 25 years, Don was Mary’s hero. Don served as a Los Angeles Fire Fighter for 26 years, retiring in 1990. He saved countless lives during his career and touched thousands everywhere with his loving, generous spirit. Every Fire House in Los Angeles rang 10 bells to honor Don and Station 3, the last station he served, flew the flag at half-mast to signify the loss of one of their own. Don never met a stranger, always smiled, and never uttered an unkind word. He retired to Hawaii in 1991, and later returned to the mainland in 2009, settling in Missouri to be closer to his family. He said he found more Aloha in Missouri than in Hawaii. In Fulton he was known as the Donut Diplomat because he came bearing gifts of donuts each time he went to a business to pay a bill. He will remain forever in the hearts of his wife, Mary; sons, Charles Holloway, and Robert Holloway; daughters, Melissa Holloway-Opalecky and husband, Jeff, and Darah Kabot and husband Jeffrey; five grandchildren; four great grandchildren; and several nieces and nephews. He was preceded in death by his parents; two brothers, Ken and Bill; and one sister, Virginia. Friends will be received from 5:00 p.m. until 7:00 p.m. on Friday, January 18, 2019 at Maupin Funeral Home in Fulton. A memorial service and flag ceremony will be held on May 4, 2019 in Los Angeles. In lieu of flowers, memorials donations are suggested to Los Angeles Fireman’s Relief Association or Wounded Warriors, c/o Maupin Funeral Home, 301 Douglas Boulevard, Fulton, MO 65251. To send flowers or a remembrance gift to the family of Don Edward Holloway, please visit our Tribute Store. "Email Address" would like to share the life celebration of Don Edward Holloway. Click on the "link" to go to share a favorite memory or leave a condolence message for the family.